This calving ease Aviator son out of a Final Solution daughter will sell at the November sale with his Dam. 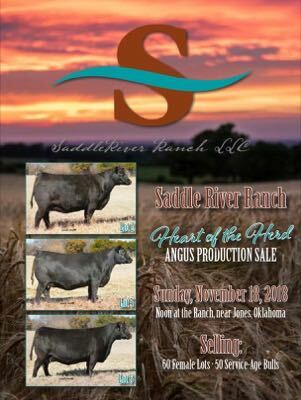 This 2010 JV partner female out of the sire SAV Proactive 6918 (15707141) has served the Saddleriver/Buford herds well. She has never missed a fall calving season since her first breeding year. She has two bulls in the sale. Champion Hill Georgina 7760 (16795827) ET's selling. S A V Elba 4436 (14811945) ET's selling. BHR Elba 1094 606 (15563426) ET's selling. We'll have several features from all of our donors. CALL Cathy Conner, Ranch Manager for Private Treaty Sales.